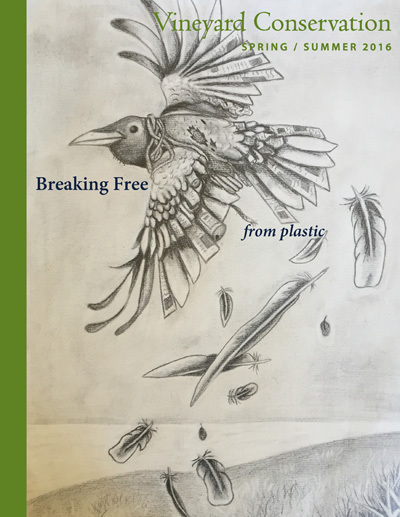 Check your mailbox for the latest VCS newsletter, featuring a striking drawing by Lucy Thompson, first-place winner in this year's Art of Conservation contest. 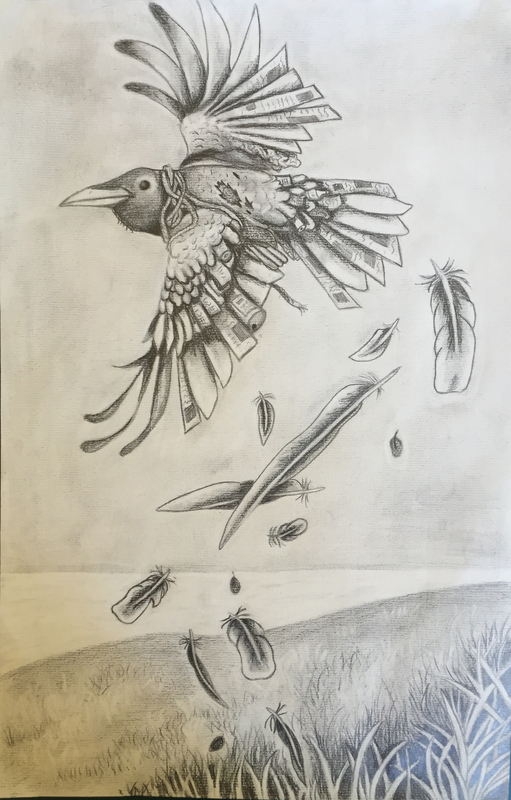 Click the image to view the artwork in full, and then check out the rest of the winners of our 3rd annual high school art contest. --Photographer Neal Rantoul, describing his work while drawing an analogy to that of Eugene Atget in documenting the industrialization of Paris at the turn of the 20th century. Neal will present at the VCS Annual Meeting (story at right). Saturday, June 25, 9:00 am to noon, Tisbury. The Tisbury Shellfish Department hosts a family Shellfishing Day. Learn about pond ecology, and how to harvest, handle, and prepare shellfish. At the Lagoon boat launch, free but registration is required (see website). For more info contact Shellfish Constable Danielle Ewart at (508) 684-8304. Wednesday, June 29 (also Aug. 8), 8:00 pm, Chilmark. After the VCS Annual Meeting, head over to the Chilmark Community Center for a special screening of One Big Home. Directed by MV Film Festival founder Thomas Bena, the new documentary explores the proliferation of massive trophy homes on the Vineyard and the effort in Chilmark to reign them in. More info at TMVFF. Tuesdays, 10:00 to 11:00 am, Edgartown. Learn all about what makes a reptile a reptile at Felix Neck's Discovery Room, and in their natural habitats. $9 ($6 for members), call (508) 627-4850 or see website for more info. Fresh picked produce from local farms, flowers, delicious baked goods and prepared foods from Island kitchens and more. Outside of the Grange Hall in West Tisbury. For more info, see website. Put a roughly equal amount* of each in the blender, and there it is. It may not be the best smoothie in the world, but it will be after you experiment and add your own favorites. And even the Simplest Smoothie in the World has the advantage of real, natural yogurt that you won't find at any smoothie shop. For a first attempt, try one banana, 1 cup strawberries and 1 cup yogurt. With the summer heat approaching, freeze the strawberries first for a cooler treat. 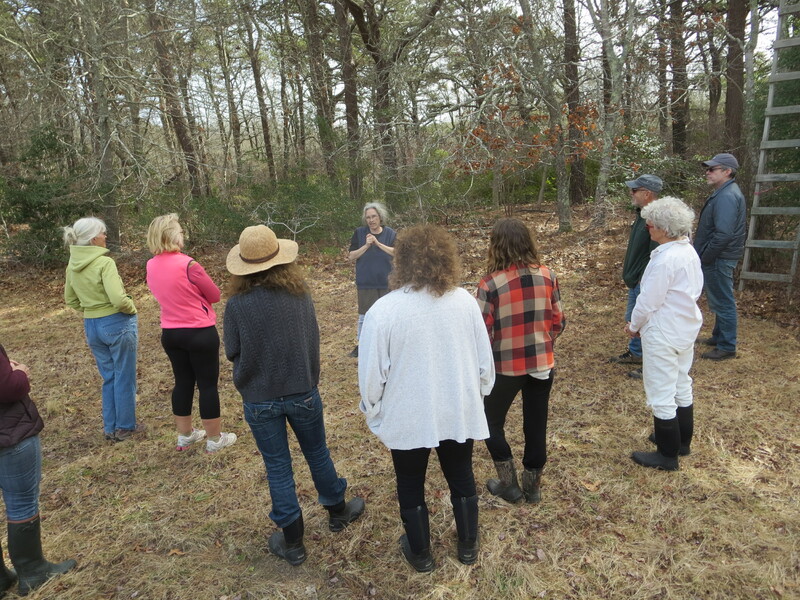 The annual meeting of the board and membership of the Vineyard Conservation Society will be held this year at the West Tisbury Library on Wednesday, June 29 from 5:00 to 7:00 pm. The event is free and open to the public. The business portion of the meeting will be followed by a presentation of Island photography by Neal Rantoul. Recently retired (following 30 years as head of the Northeastern University Photo Program), Neal is a life-long Vineyard resident who now devotes his efforts full-time to making new work and bringing earlier work to a national and international audience. 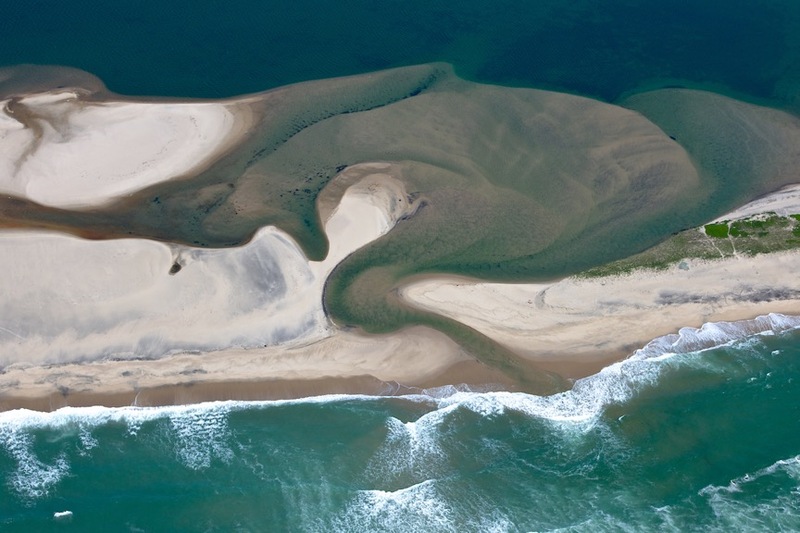 Our hope is that Neal’s photography will spark a discussion of how the Island is continually changing – due to both the unpredictable power of nature, as seen in our dynamic shoreline, and the rapid pace of development and other human impacts. Don't forget to renew your membership before the Annual Meeting! If you're not a member yet, join today! New members receive a free copy of Edible Wild Plants of Martha's Vineyard, a beautifully illustrated guide to the wild bounty of Martha's Vineyard, complete with fascinating information about traditional medicinal and folklore uses. 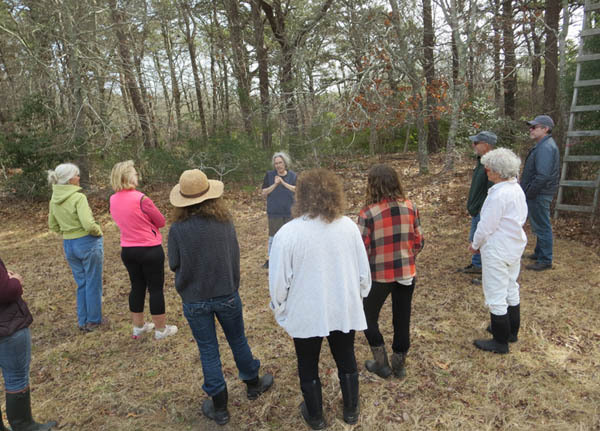 Rebecca Gilbert of Native Earth shares the history of Island agriculture at this year's Winter Walk, a celebration of the ten-year anniversary of the collaborative effort to conserve the farm (photo by Richard Toole). 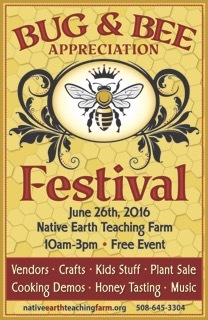 Celebrate and honor our pollinators this Sunday, June 26, with a fun day of activities at Native Earth Teaching Farm. Learn all about the vital little workers who keep the agricultural (and natural) world running with activities, cooking demos, crafts, music and more from 10:00 to 3:00, and a pollinator parade at noon. See website for directions, and poster for more information. Native pollinators – solitary bees, moths, and many, many others – are not only important to agriculture and ecosystem functioning, but can also serve as an indicator of broader diversity and ecological health. At the 2013 VCS Annual Meeting, entomologist Paul Goldstein of the Smithsonian Museum of Natural History explained what pollinators and other insects can tell us about our local ecology, and why it matters to conservation efforts. See the full presentation here, produced by Martha's Vineyard Productions. Ribbed mussels, propagated by the MV Shellfish Group, could be a future addition to the project (photo by Sandy Richard). A major soft-stabilization project is now underway at Felix Neck. Named the “Living Shoreline Project,” this collaborative effort of Felix Neck/Mass Audubon, the Shellfish Departments of Oak Bluffs and Edgartown, the University of Rhode Island, and the EPA involves the installation of coconut fiber coir logs and bags of shell along the eroding shoreline of Sengekontacket Pond.